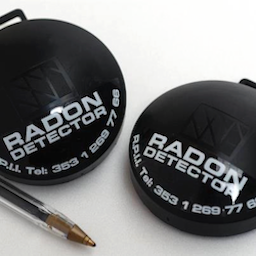 Radon is a radioactive gas and is considered a health hazard due to its radioactivity. The gas is released from natural sources such as soil and rock into the air. Due to the pressure difference between indoor and outdoor, radon release from the soil can accumulate in buildings and potentially contaminate the indoor air quality. High concentrations of radon can cause lung cancer and it is linked to up to 200 lung cancer deaths in Ireland each year according to one study. Wicklow is a high risk radon area, and the free radon test kit is available for every participating home in Ballynagran. Radon reduction measures include a range of ventilation and sump Systems and barriers under the house. For further details on this subject please refer to the Radiological Protection Institute Website. An interesting article in the Irish Medical Times from October 2011 is discusses the health risks of radon gas exposure.